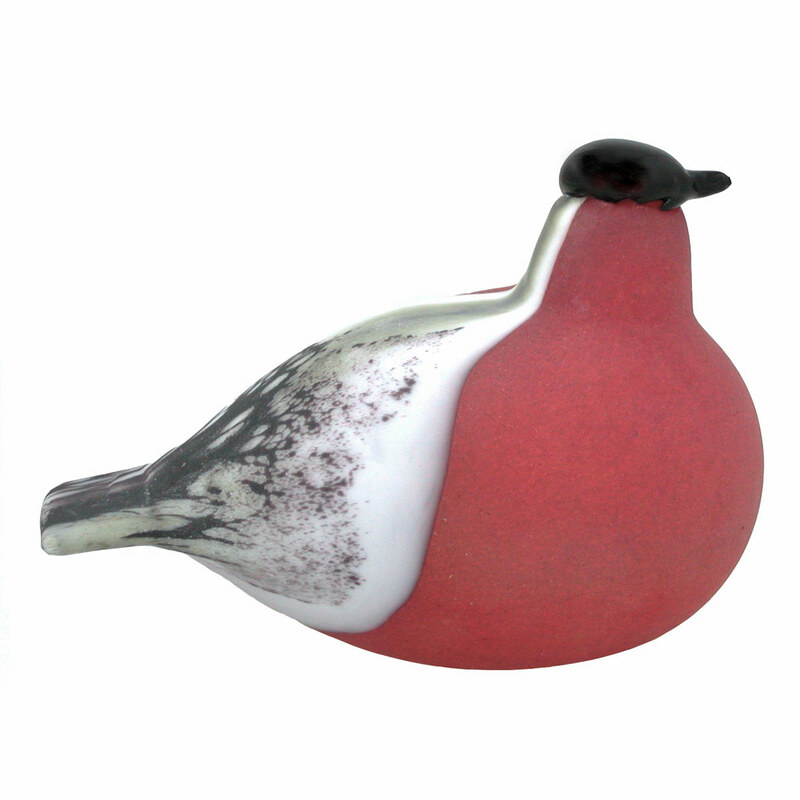 More about iittala Toikka Bullfinch The Bullfinch, by renowned Finnish artist Oiva Toikka, was introduced in 1994. The texture of this small bird is like sea glass. A black head scans the horizon and is supported by a red neck and breast. The back and the tail of this bird are both white with a pattern of gray markings. This bird is a magnificent mix of color, shape, and pattern.All of the Toikka birds are highly collected, individually made, mouth-blown pieces of art. Each bird is handmade at iittala�s famous glassworks shop and carries a mark ensuring authenticity. These birds are great gifts for bird lovers and those who appreciate mouth-blown glass art.